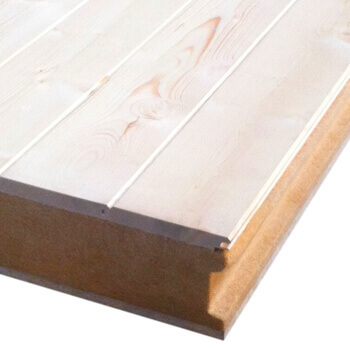 THERMOCHIP TAO WF (TAO WF) is made up of an OSB3 plank, a wood fibre and vapour barrier core and a fir finish on its interior side. This panel offers the possibility to build roofs with an added value due to the frieze which also comes in different decorative options. Do you want to see how it would look?